The second error is that in the margin in geological sections, where the layers converge to the side until the end of the section (figure 2). I would like to know how I can correct these errors. The method used to obtain this model is inverse distance weighting (IDW), with exponent two and eight points are used to calculate the nodes. Some tools are activated during the interpolation, such as: Declustering, High-Fidelity and Smooth Grid. 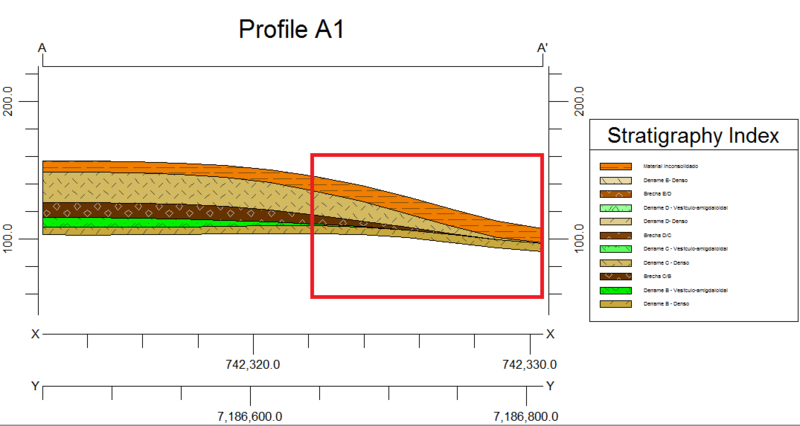 To create the model are used the following tools: Constrain Model Based on Ground Surface, Plot Logs, Hide Thin Zone. One way to handle missing formations is to include them in the borehole with the same top and bottom depth (zero thickness). 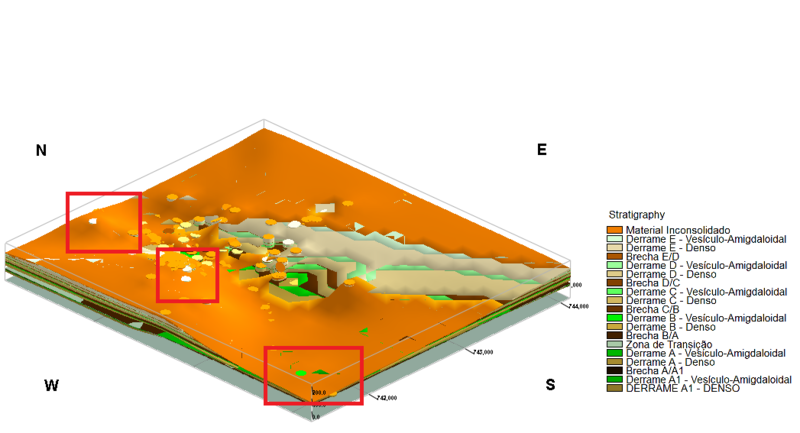 Otherwise, the gridding algorithm estimates the top and and bottom from nearby boreholes. Refer to the RockWorks help topic Missing Formations for additional information. To change the interpolation in areas of no data, add data in the form of one or more boreholes with the desired values. Individual layers can be gridded in the Utilities Map | Grid-Based Map menu. Transfer the Stratigraphic data to the Utilities datasheet with the Borehole Manager File | Transfer | Strigraphy->Utilities Datagrid menu command. Copy existing Stratigraphy GRD files to different names for backup purposes, and add the desired data to the datasheet. I will study this solutions for my project. The layers still converge to the side until the end of the section. Is there another way to resolve this? Do you have any boreholes on the right side of the cross-section, and what would you like to see for the layers on that side? You may need to add data in areas of no control to help the program produce the type of output that you would like to see. You are welcome to backup your project and send the ZIP file from the \Backup\ folder to http://www.rockware.com/upload/ and include an annotated image that shows what you would like to see and I will take a look.